Designed as MORC 'maxi', the ADHARA 30 is sometimes called the DENCHO 30 and an evolution of the the slightly earlier PINNACLE 29/30. 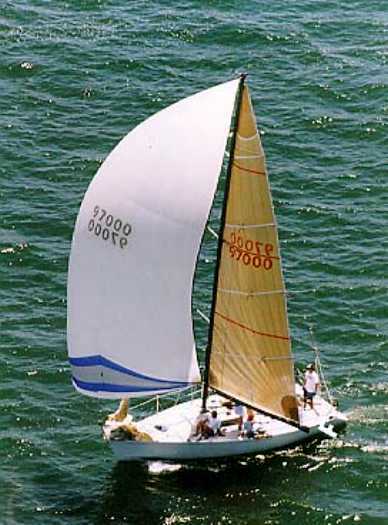 In addition to the 3 standard boats, 1 stretched 33' version also came from the same mold. Thanks to 'SPB' for providing additional information.